Stay warm while you show your allegiance to New Zealand’s own NRL team in Canterbury’s Sleeveless Hoodie. Made from Cotton and Polyester brushed back fleece, this hoodie provides freedom of movement while keeping the early morning chill at bay. Transfix team and sponsor logos at front chest. Constructed from 55% Cotton and 45% Polyester brushed back fleece, our sleeveless hoodie is not only stylish, but designed to keep you warm on the coldest of days. The lower front kangaroo pockets are ideal for keeping your hands warm, while the taped front and back raglan sleeves keep your arms free, allowing for maximum freedom of movement. 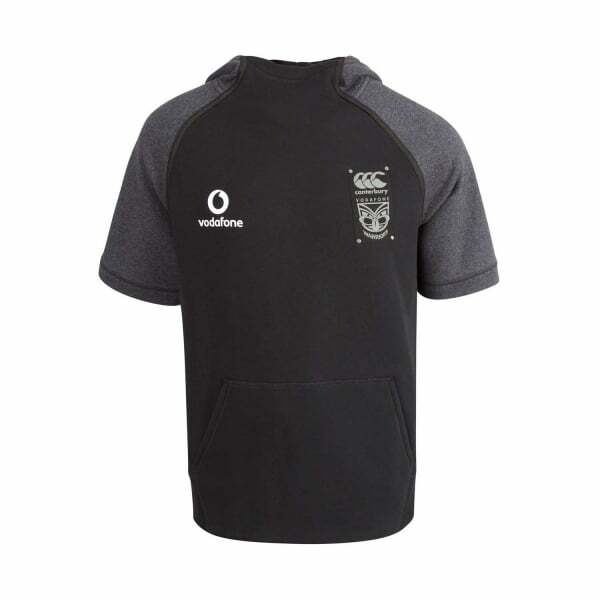 This hoodie has all the classic hallmark features sporting legends and fans expect from the Canterbury label, and with the transfix Vodafone Warriors team and sponsor logos on the chest, there’ll be no doubt who your team is when you’re wearing it.